Innovators from inside and outside of Austrian Federal Railways are coming together at ÖBB’s Open Innovation Lab to work on solutions to the some of the railway’s most pressing problems. As railways push ahead with digitalization, more and more are engaging and implementing solutions from a new form of supplier: the tech start-up. This is changing the railway-supplier relationship and altering the industry’s wider approach to innovation, as IRJ’s Kevin Smith discovers. AIR BNB, Uber and Deliveroo are all household names and multi-billion-dollar companies. They also share humble beginnings. Starting out as a simple idea among associates or friends, these firms rode the wave of smartphone ubiquity and cheap cloud computing to redefine the way we book a hotel, hail a cab and order takeaway food. With this generation of start-ups now well-established, a new cohort is eyeing billion-dollar valuations. However, with opportunities to reinvent drying up, these tech start-ups – tomorrow’s unicorns – look more likely to supply software that serves and modernizes existing sectors. CB Insights, a firm that tracks venture capital and start-ups, recently compiled a list of 50 start-ups likely to achieve a billion-dollar valuation for the New York Times. Among the highlights is Benchling, a San Francisco start-up that developed software enabling scientists to ditch their notebooks in favor of searchable records stored in the Cloud. The system is already used by more 140,000 users. Another notable entry is Farmers Business Network, which harnesses increased digitization of farming processes to offer a subscription service to farmers to share and analyze agricultural data as well as buy supplies and sell crops. London-based Citymapper is also listed. This company started out as a transit app and mapping service, integrating data for all urban modes of transport. It is now building a shared mobility solution, which combines car sharing with public transport. Rail has not escaped the notice of Citymapper and others, with a number of tech start-ups actively working to update what are in some cases decades-old processes. For example, new tech companies are supplying the means to use video analytics for locomotive and rolling stock inspection, and machine learning and Artificial Intelligence (AI) to optimize route planning and deliver personalized services to passengers. They are also providing the foundation for the shift to automated operation. Equally, railways are not standing still and waiting for this tech arrive. Many are actively engaging with the tech and start-up community as part of their new and revised technical strategies, which is prompting a fundamental shift in how many railways think about and participate in innovation. Austrian Federal Railways (ÖBB) is engaging with start-ups as part of its Open Innovation program, which commenced in 2016. This was developed in response to the railway’s desire to deliver on its customer-centered strategy, which Maria Seifert-Gasteiger, ÖBB’s leading innovation manager, says the company felt it could not implement adequately without adding new tools to its toolbox. At the heart of the Open Innovation program is the Open Innovation Lab. Located around 100m from ÖBB’s new headquarters adjacent to Vienna Main Station, the lab is the juncture at which innovation both within and from outside of the company can take place. 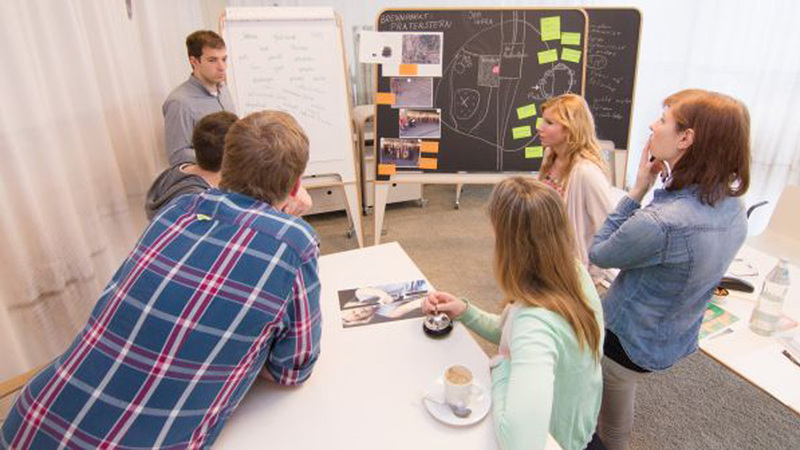 ÖBB initiated its first company-wide entrepreneurship challenge in 2018, which was based on three concrete challenges to address problems identified by ÖBB management. Three innovation projects emerged from this process, which are now in the piloting phase. Seifert-Gasteiger says the most advanced is an on-demand bus service, which reflects the company’s desire to offer new micro-mobility solutions that integrate with rail services to better meet customer needs. Likewise, U.S. Class I freight railway Norfolk Southern (NS) is actively engaging with the tech start-up community to access their ideas and, it hopes, deploy new technologies that will improve performance and reduce costs. Like ÖBB, which has worked with Vienna-based Pioneer, a start-up accelerator which matches start-ups with industrial companies, NS has linked up with Silicon Valley-based Plug and Play. Describing itself as the world’s largest tech start-up accelerator, the company mines the tech sector for the most promising start-ups and matches them with its blue-chip corporate clients as well as governments and universities from around the world. It is working with the rail sector through its Supply Chain and Logistics vertical and has assembled several notable corporate partners, including Maersk, DHL, FedEx, the United States Postal Service and Japan Post as well as Class I’s CN, BNSF, Union Pacific, Kansas City Southern and NS. NS is engaging with the tech start-up community with the goal of harnessing new technologies, including for infrastructure inspection using drones and staff training. 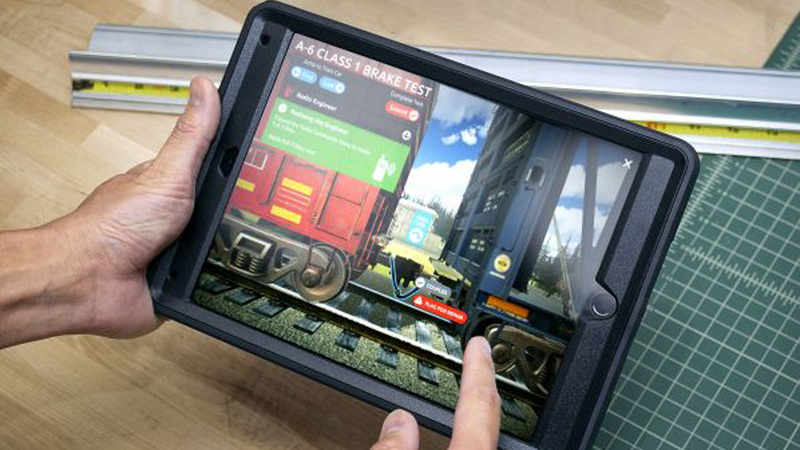 The railway is already working with Heartwood 3D on a app-based freight car air brake inspection program, a fundamental skill for new conductors and car mechanics. NS’s partnership with Plug and Play commenced in May 2018, and the railway is targeting one proof of concept from the program per year. Fred Ehlers, NS Vice President Information Technology and CIO, says NS is looking for a roadmap to autonomous operation and is seeking vendors in this space. It is also looking at drone and video analytics capabilities to enhance inspection of various assets as well as improvements to asset identification and location monitoring. It is not just railways targeting the tech sector. Established suppliers are also increasingly engaging with new companies to access expertise in developing areas. Thales is working with start-ups as a means to accelerate its digital transformation process. The supplier is engaging with Paris’ Station-F, which has capacity for more than 3,000 work desks and is one of the largest such campuses in the world, to work on innovative cybersecurity solutions. Thales is offering start-up partners a six-month collaboration at Station-F with the goal of establishing a long-term partnership. Thales’ start-up strategy covers all divisions of the company’s business. 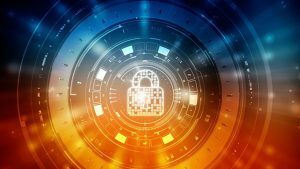 However, for rail specifically, in the program’s second cohort it has partnered with Cylus, an Israeli-based start-up, which is solely focused on providing cybersecurity solutions for signaling and control networks. However, these kinds of partnerships do have challenges. For established companies and railways in particular the speed of the innovation process is much faster than what they are used to, potentially leading to a clash of cultures. “We need to learn about start-ups, their way of working in order to adapt our way of working and generate a fruitful output of this cooperation,” Plu says. Nevertheless, Seifert-Gasteiger says this cultural challenge has become one of the real success stories of the process. She says that by engaging with this more agile world, the program has exposed a lot of ÖBB employees to the ideas of innovation, service design and customer-centric innovation processes. “Now that we are up to speed, we are implementing many things that can produce fast results,” she says. 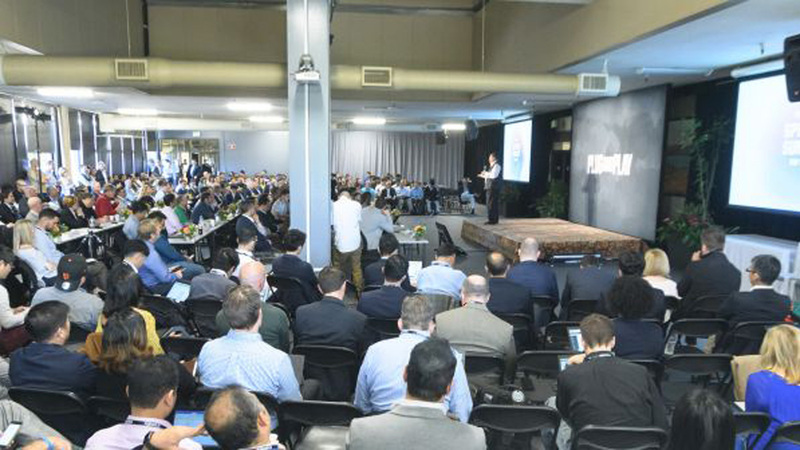 Plug and Play is connecting key logistic players with the start-up community at its events. Cogniac is one of the start-ups that is working with the rail industry as a result of the Plug and Play accelerator. It offers an AI-based software platform for deep learning, which automates visual inspection tasks carried out by humans to a human-level accuracy. 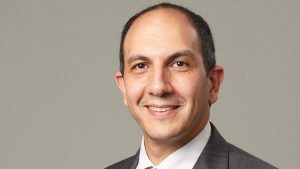 “Our system is smart enough that when it sees something new, or a better way of doing things, it builds a new model,” says Vahan Tchakerian, Senior Vice President Global Sales. The company has already landed two significant contracts with two Class I railways in the United States and a Mexican client in the past year. Discussions with other Class I’s are at an advanced stage while it is also targeting the European and Asian markets. Cogniac is also working alongside the Association of American Railroads (AAR) to help reshape regulations based on its AI software. This is a major priority for NS. Battaglio says a lot of the emphasis of the proofs of concept is to prove the value of the technology to offer a better solution and adjust the regulation accordingly, such as using video analytics for visual inspection compared with the human eye. Tchakerian credits Plug and Play, which is also an investor in the company, for providing 50-60% of its business. He says it is particularly strong at providing introductions to key decision makers and C-level executives. ÖBB is similarly engaging with the wider rail sector on its innovation and start-up program. In May 2018 it hosted a hackathon with 150 employees from ÖBB, German Rail (DB) and Swiss Federal Railways (SBB) taking part and working together to solve common challenges identified by the railways. Seifert-Gasteiger says the work was successful, and the three railways are set to hold another event in May, this time in Switzerland. DB’s start-up strategy is centered on its Digital Ventures division and Beyond 1435, which is looking at customer-centric solutions and is based at the Mindbox incubator at Jannowitzbrüke station in Berlin. As well as DB, SBB, Bombardier and Siemens are the lead patrons of Beyond 1435, which is partnering with Plug and Play to recruit start-ups into the program. Participants receive 100 days of mentoring, coaching and access to work spaces as well as €25,000 in start-up funding and a start-up manager, who acts as a liaison between the start-up and the DB network. DB has received more than 800 applications from companies based in over 30 countries, and around 50 start-ups have participated in the program so far. Work is currently underway to introduce 30 specific products and innovations relating to train travel developed in Beyond 1435. British company Zipabout is one start-up currently engaging with Beyond 1435. Zipabout uses advanced machine learning and AI to harness live streams of operational environmental and passenger-level behavioral data across an entire transport network to offer personalized two-way communications. As well as DB, it has also connected with SBB and Bombardier through the program and is working to integrate its technology to offer an on-the-fly seat booking service. CEO Alex Froom praises DB’s approach to engaging and understanding what start-up companies can offer. He says presentations at Beyond 1435 take place in front of budget-holding commercial directors, which means if they see potential for your product in their organization, they can begin this discussion. However, it hasn’t been plain sailing for Zipabout’s entry into the rail sector, particularly in its home market. Froom says the rail industry’s approach to innovation here is largely out-of-step with wider technological changes taking place, which has proved frustrating. He holds particular contempt for the railway hackathon concept, which he says rarely produces useful solutions. Froom says a large part of the problem in rail is a general lack of skills. He says in his experience the sector is looking at consumer problems using an engineering mindset and not from a business-to-consumer standpoint. There is also a prevailing lack of understanding of what is available in the wider tech space and an arrogance that no outside help is required. Key to the early successes of Norfolk Southern, SBB, ÖBB, and DB is their willingness to take the time to understand what they want and to develop a program that can deliver these objectives. They all have long-term technical and strategic plans and have partnered with institutions with intimate knowledge of the tech sector, which is matching expertise with the railway’s specific needs, delivering benefits for both parties. They are also not scared to halt a project if it is not working, in order to try something that might. The start-up and tech community has a lot to offer the rail sector and great work is already taking place, which is speeding up the industry’s notoriously slow innovation process. However, reward is only possible if both sides are working towards a shared objective. Seifert-Gasteiger says ÖBB has so far shied away from starting its own accelerator, questioning the benefits of 150 or so companies working at ÖBB. Instead she says the railway prefers for its staff to work directly with entrepreneurs, which are carefully selected, so both sides buy into the process. When time is tight and resources are precious, embracing quality and not quantity appears the secret to start-up success.